Submersible pump unit are described by characteristics such as pump unit application, mode of operation and type of drive. Complete this electronic spreadsheet to ensure that your Submersible pumps product information meets the requirements of Level 2 BIM. This is important as it will enable your customers to select, specify and use your products within the BIM environment. Once you have completed this template you can host it on your own website or distribute it to your customers. Please note that we do not host completed product data templates within the BIM Toolkit. The above illustration is for Volute casing dry well centrifugal sewage and sludge pumps from the NBS section Water industry pumps. This is indicative of the LOD requirements for Submersible pumps. The above illustrations are for Volute casing dry well centrifugal sewage and sludge pumps from the NBS section Water industry pumps. This is indicative of the LOD requirements for Submersible pumps. Manufacturer The Manufacturer of the Submersible pumps. Standard The Standard of the Submersible pumps. 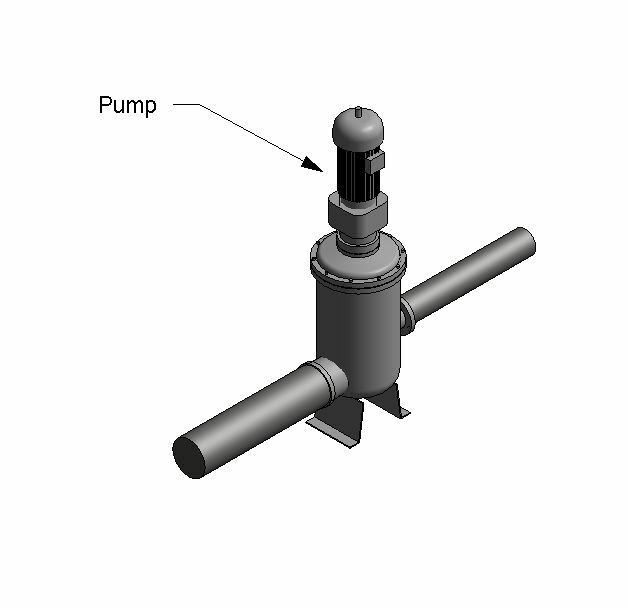 Pump unit application The Pump unit application of the Submersible pumps. Mode of operation The Mode of operation of the Submersible pumps. Type of drive The Type of drive of the Submersible pumps. Durability The Durability of the Submersible pumps. Utilisation The Utilisation of the Submersible pumps. Operating speed(maximum) The Operating speed(maximum) of the Submersible pumps. Hydraulic performance at the guarantee point at N2 The Hydraulic performance at the guarantee point at N2 of the Submersible pumps. Hydraulic performance at the guarantee point at N2 - Flow rate The Hydraulic performance at the guarantee point at N2 - Flow rate of the Submersible pumps. Hydraulic performance at the guarantee point at N2 - Static head The Hydraulic performance at the guarantee point at N2 - Static head of the Submersible pumps. Hydraulic performance at the guarantee point at N2 - Dynamic head (station) The Hydraulic performance at the guarantee point at N2 - Dynamic head (station) of the Submersible pumps. Hydraulic performance at the guarantee point at N2 - Dynamic head (main) The Hydraulic performance at the guarantee point at N2 - Dynamic head (main) of the Submersible pumps. Variable speed pumping duties The Variable speed pumping duties of the Submersible pumps. Variable speed pumping duties - Flow rate (minimum) The Variable speed pumping duties - Flow rate (minimum) of the Submersible pumps. Variable speed pumping duties - Flow rate (maximum) The Variable speed pumping duties - Flow rate (maximum) of the Submersible pumps. Variable speed pumping duties - Inverter output frequency (maximum) The Variable speed pumping duties - Inverter output frequency (maximum) of the Submersible pumps. System data The System data of the Submersible pumps. System data - Reference for data/curve The System data - Reference for data/curve of the Submersible pumps. System data - Static head (maximum) The System data - Static head (maximum) of the Submersible pumps. System data - Static head (minimum) The System data - Static head (minimum) of the Submersible pumps. Pump curve number The Pump curve number of the Submersible pumps. Q(guarantee point)/Q(best efficiency point) at N2 The Q(guarantee point)/Q(best efficiency point) at N2 of the Submersible pumps. Q(guarantee point)/Q(best efficiency point) at N2 - Upper limit The Q(guarantee point)/Q(best efficiency point) at N2 - Upper limit of the Submersible pumps. Q(guarantee point)/Q(best efficiency point) at N2 - Lower limit The Q(guarantee point)/Q(best efficiency point) at N2 - Lower limit of the Submersible pumps. Overall efficiency at N2 The Overall efficiency at N2 of the Submersible pumps. Overall efficiency at N2 - At the guarantee point The Overall efficiency at N2 - At the guarantee point of the Submersible pumps. Overall efficiency at N2 - At the maximum flow The Overall efficiency at N2 - At the maximum flow of the Submersible pumps. Motor power input at N2 The Motor power input at N2 of the Submersible pumps. Motor power input at N2 - At the guarantee point The Motor power input at N2 - At the guarantee point of the Submersible pumps. Motor power input at N2 - At the maximum flow The Motor power input at N2 - At the maximum flow of the Submersible pumps. Motor power input at N2 - Maximum The Motor power input at N2 - Maximum of the Submersible pumps. Flow rate at N2 (maximum) The Flow rate at N2 (maximum) of the Submersible pumps. Flow rate at N2 (minimum) The Flow rate at N2 (minimum) of the Submersible pumps. Pump unit to be capable of discharging into an empty main The Pump unit to be capable of discharging into an empty main of the Submersible pumps. Performance at closed valve at N2 The Performance at closed valve at N2 of the Submersible pumps. Performance at closed valve at N2 - Head The Performance at closed valve at N2 - Head of the Submersible pumps. Performance at closed valve at N2 - Operating time (maximum) The Performance at closed valve at N2 - Operating time (maximum) of the Submersible pumps. Net positive suction head available at N2 The Net positive suction head available at N2 of the Submersible pumps. Net positive suction head available at N2 - At the guarantee point The Net positive suction head available at N2 - At the guarantee point of the Submersible pumps. Net positive suction head available at N2 - At the maximum flow The Net positive suction head available at N2 - At the maximum flow of the Submersible pumps. Net positive suction head required at N2 The Net positive suction head required at N2 of the Submersible pumps. Net positive suction head required at N2 - At the guarantee point The Net positive suction head required at N2 - At the guarantee point of the Submersible pumps. Net positive suction head required at N2 - At the maximum flow The Net positive suction head required at N2 - At the maximum flow of the Submersible pumps. Net positive suction head required at N2 - Net positive suction head safety margin at the maximum flow The Net positive suction head required at N2 - Net positive suction head safety margin at the maximum flow of the Submersible pumps. Minimum submergence depth at N2 The Minimum submergence depth at N2 of the Submersible pumps. Minimum submergence depth at N2 - At the guarantee point The Minimum submergence depth at N2 - At the guarantee point of the Submersible pumps. Minimum submergence depth at N2 - At the maximum flow The Minimum submergence depth at N2 - At the maximum flow of the Submersible pumps. 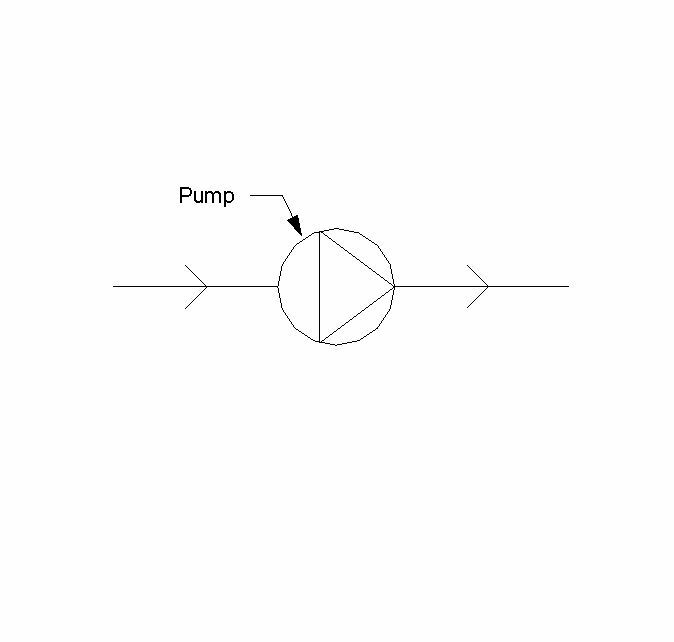 Diameter of solid sphere required to be passed by the pump The Diameter of solid sphere required to be passed by the pump of the Submersible pumps. Expected noise levels at the guarantee point (dB at 1m) The Expected noise levels at the guarantee point (dB at 1m) of the Submersible pumps. Expected RMS vibration velocity levels The Expected RMS vibration velocity levels of the Submersible pumps. Driver power input at the guarantee point The Driver power input at the guarantee point of the Submersible pumps. External corrosion protection specification The External corrosion protection specification of the Submersible pumps. Lifting arrangements The Lifting arrangements of the Submersible pumps. Lifting arrangements - Type of lifting point The Lifting arrangements - Type of lifting point of the Submersible pumps. Lifting arrangements - Lifting handle material The Lifting arrangements - Lifting handle material of the Submersible pumps. Lifting arrangements - Lifting system The Lifting arrangements - Lifting system of the Submersible pumps. Dry well installations The Dry well installations of the Submersible pumps. Dry well installations - Orientation The Dry well installations - Orientation of the Submersible pumps. Wet well installations The Wet well installations of the Submersible pumps. Wet well installations - Guide system The Wet well installations - Guide system of the Submersible pumps. Wet well installations - Guide system - Required length of guide system The Wet well installations - Guide system - Required length of guide system of the Submersible pumps. Wet well installations - Guide system - Guide tube material The Wet well installations - Guide system - Guide tube material of the Submersible pumps. Wet well installations - Auto-coupling system The Wet well installations - Auto-coupling system of the Submersible pumps. Wet well installations - Auto-coupling system - Material The Wet well installations - Auto-coupling system - Material of the Submersible pumps. Wet well installations - Hose installation The Wet well installations - Hose installation of the Submersible pumps. Wet well installations - Hose installation - Support stand material The Wet well installations - Hose installation - Support stand material of the Submersible pumps. 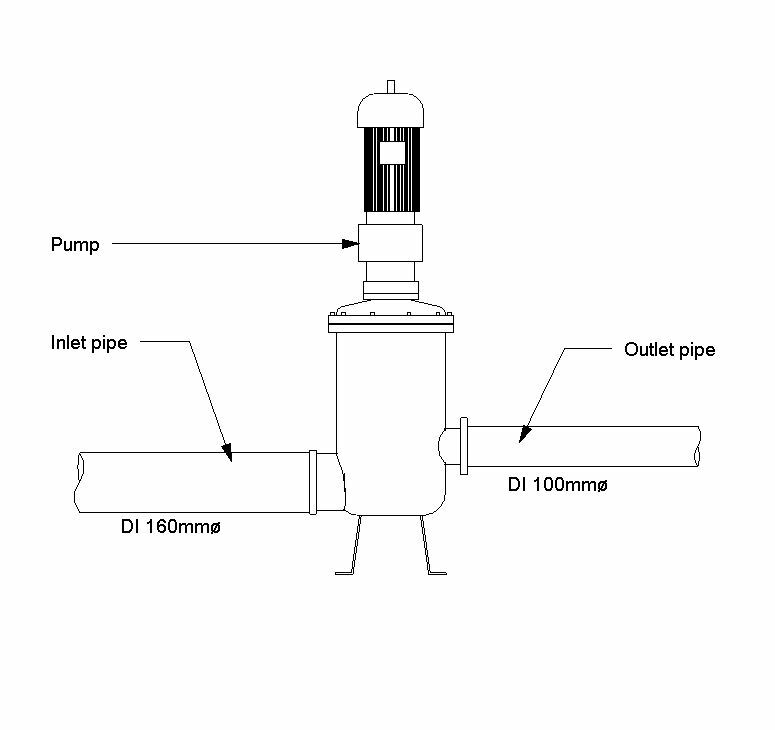 Wet well installations - Hose installation - Type of connection to pump outlet The Wet well installations - Hose installation - Type of connection to pump outlet of the Submersible pumps. Pump casing The Pump casing of the Submersible pumps. Pump casing - Material The Pump casing - Material of the Submersible pumps. Pump casing - Inlet connections The Pump casing - Inlet connections of the Submersible pumps. Pump casing - Inlet connections - Nominal bore The Pump casing - Inlet connections - Nominal bore of the Submersible pumps. Pump casing - Inlet connections - Flange type The Pump casing - Inlet connections - Flange type of the Submersible pumps. Pump casing - Outlet connections The Pump casing - Outlet connections of the Submersible pumps. Pump casing - Outlet connections - Nominal bore The Pump casing - Outlet connections - Nominal bore of the Submersible pumps. 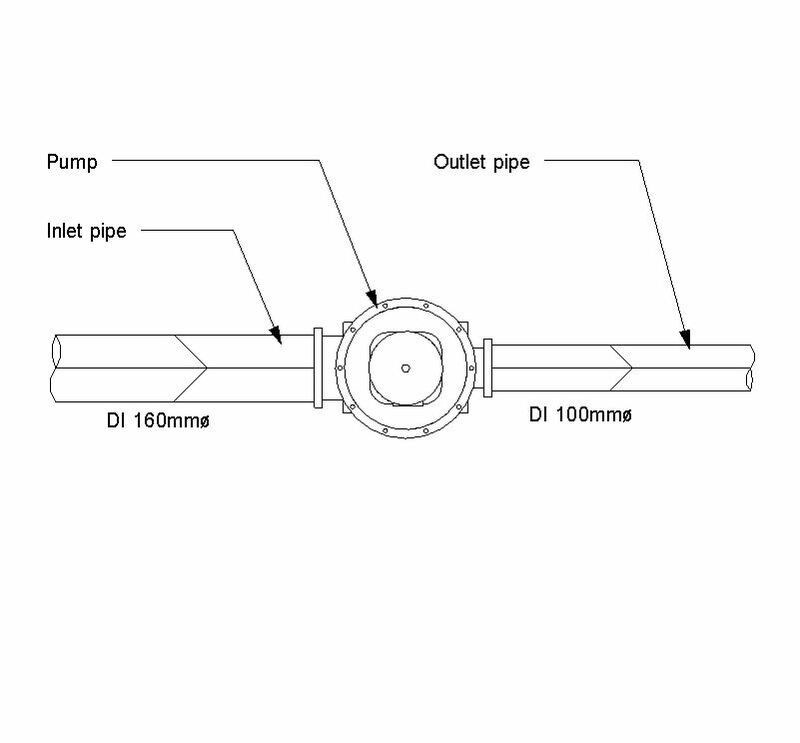 Pump casing - Outlet connections - Flange type The Pump casing - Outlet connections - Flange type of the Submersible pumps. Pump casing - Renewable wear parts The Pump casing - Renewable wear parts of the Submersible pumps. Pump casing - Coatings The Pump casing - Coatings of the Submersible pumps. Pump casing - Coatings - Specification The Pump casing - Coatings - Specification of the Submersible pumps. Pump casing - Coatings - Thickness The Pump casing - Coatings - Thickness of the Submersible pumps. Pump casing - Coatings - Efficiency increase The Pump casing - Coatings - Efficiency increase of the Submersible pumps. Pump casing - Coatings - Durability The Pump casing - Coatings - Durability of the Submersible pumps. Pump casing - Access for inspection and clearance of blockages The Pump casing - Access for inspection and clearance of blockages of the Submersible pumps. Impeller The Impeller of the Submersible pumps. Impeller - Type of impeller The Impeller - Type of impeller of the Submersible pumps. Impeller - Material The Impeller - Material of the Submersible pumps. Impeller - Direction of rotation of impeller (viewed from the non-drive end) The Impeller - Direction of rotation of impeller (viewed from the non-drive end) of the Submersible pumps. Impeller - Impeller dimensions The Impeller - Impeller dimensions of the Submersible pumps. Impeller - Impeller dimensions - Actual diameter fitted The Impeller - Impeller dimensions - Actual diameter fitted of the Submersible pumps. Impeller - Impeller dimensions - Diameter (maximum) The Impeller - Impeller dimensions - Diameter (maximum) of the Submersible pumps. Impeller - Method of securing impeller to pump shaft The Impeller - Method of securing impeller to pump shaft of the Submersible pumps. Impeller - Wear rings The Impeller - Wear rings of the Submersible pumps. Impeller - Machining allowance The Impeller - Machining allowance of the Submersible pumps. Pump shaft material The Pump shaft material of the Submersible pumps. Shaft sleeve material The Shaft sleeve material of the Submersible pumps. Pump shaft seals The Pump shaft seals of the Submersible pumps. Pump shaft seals - Primary seal The Pump shaft seals - Primary seal of the Submersible pumps. Pump shaft seals - Primary seal - Seal details An example value being Type of seal. Pump shaft seals - Primary seal - Component materials The Pump shaft seals - Primary seal - Component materials of the Submersible pumps. Pump shaft seals - Secondary seal The Pump shaft seals - Secondary seal of the Submersible pumps. Pump shaft seals - Secondary seal - Seal details The Pump shaft seals - Secondary seal - Seal details of the Submersible pumps. Pump shaft seals - Secondary seal - Component materials The Pump shaft seals - Secondary seal - Component materials of the Submersible pumps. Pump shaft seals - Buffer chamber The Pump shaft seals - Buffer chamber of the Submersible pumps. Pump shaft seals - Buffer chamber - Fluid volume The Pump shaft seals - Buffer chamber - Fluid volume of the Submersible pumps. Pump shaft seals - Buffer chamber - Buffer fluid The Pump shaft seals - Buffer chamber - Buffer fluid of the Submersible pumps. Bearings and bearing lubrication The Bearings and bearing lubrication of the Submersible pumps. Bearings and bearing lubrication - L10h durability at the GP (minimum) The Bearings and bearing lubrication - L10h durability at the GP (minimum) of the Submersible pumps. Bearings and bearing lubrication - Upper bearing The Bearings and bearing lubrication - Upper bearing of the Submersible pumps. Bearings and bearing lubrication - Upper bearing - Manufacturer The Bearings and bearing lubrication - Upper bearing - Manufacturer of the Submersible pumps. Bearings and bearing lubrication - Upper bearing - Designation The Bearings and bearing lubrication - Upper bearing - Designation of the Submersible pumps. Bearings and bearing lubrication - Upper bearing - Lubricant The Bearings and bearing lubrication - Upper bearing - Lubricant of the Submersible pumps. Bearings and bearing lubrication - Lower bearing The Bearings and bearing lubrication - Lower bearing of the Submersible pumps. Bearings and bearing lubrication - Lower bearing - Manufacturer The Bearings and bearing lubrication - Lower bearing - Manufacturer of the Submersible pumps. Bearings and bearing lubrication - Lower bearing - Designation The Bearings and bearing lubrication - Lower bearing - Designation of the Submersible pumps. Bearings and bearing lubrication - Lower bearing - Lubricant The Bearings and bearing lubrication - Lower bearing - Lubricant of the Submersible pumps. Motor The Motor of the Submersible pumps. Motor - Supply voltage The Motor - Supply voltage of the Submersible pumps. Motor - Direction of rotation The Motor - Direction of rotation of the Submersible pumps. Motor - MC rating The Motor - MC rating of the Submersible pumps. Motor - Method of starting The Motor - Method of starting of the Submersible pumps. Motor - Starting duty required maximum The Motor - Starting duty required maximum of the Submersible pumps. Motor - Full load current The Motor - Full load current of the Submersible pumps. Motor - Maximum permitted starting current The Motor - Maximum permitted starting current of the Submersible pumps. Motor - Submersion depth The Motor - Submersion depth of the Submersible pumps. Motor - Method of cooling The Motor - Method of cooling of the Submersible pumps. Motor - Ambient temperature (maximum) The Motor - Ambient temperature (maximum) of the Submersible pumps. Wet well flushing and mixing and cleaning system The Wet well flushing and mixing and cleaning system of the Submersible pumps. Cables and connectors The Cables and connectors of the Submersible pumps. Cables and connectors - Cable length The Cables and connectors - Cable length of the Submersible pumps. Cables and connectors - Connectors fitted to cable The Cables and connectors - Connectors fitted to cable of the Submersible pumps. Cable support system The Cable support system of the Submersible pumps. Condition monitoring and protection sensors The Condition monitoring and protection sensors of the Submersible pumps. Condition monitoring and protection sensors - Type of sensors required to prevent the insulation overheating The Condition monitoring and protection sensors - Type of sensors required to prevent the insulation overheating of the Submersible pumps. Condition monitoring and protection sensors - Additional sensors required The Condition monitoring and protection sensors - Additional sensors required of the Submersible pumps. Condition monitoring and protection sensors - Bearing monitoring requirements The Condition monitoring and protection sensors - Bearing monitoring requirements of the Submersible pumps. O & M manuals type The O & M manuals type of the Submersible pumps.